Agar.io is a reflex action game where you control a tiny cell that gets bigger as it consumes other cells. It’s deceptively simple but gets more interesting as you play. The law of the game? It’s eat or be eaten, with you trying to get smaller-sized cells while avoiding the big ones. 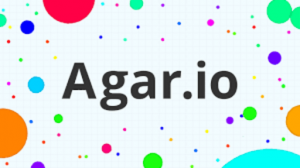 Agar.io has become a smash hit on the PC, Android and iOS versions. Millions of players are competing against each other in multiplayer frenzy all over the globe. There are also a few gameplay wrinkles along the way- you can dodge, shrink or split, or get awesome secret skins with the right username. If you’ve played the classic game Snake before, you’ll feel right at home with Agar.io. You start out as a tiny cell in a sea of cells. The objective of the game is to start eating cells to get bigger while surviving by dodging bigger cells who are trying to eat you. On the computer, you control your cell by moving your mouse to get to its destination. You use the space bar to split your cell and the W key to eject mass. The board is a white background filled with colorful dots of different sizes. Eat the smaller dots and soon you’ll grow in mass. Other live players will be trying to eat you to climb up the Leader-boards (found at the top right area), but if you’re smaller it’s better to get away and try to become bigger to challenge them. The game ends when your cell is consumed by a bigger cell. Agar.io has 4 game modes available for players- the FFA, or Free for Fall, Battle Royale, Teams and Experimental. Try to play each one several times to get a feel for the flow and the gameplay type, then spend more time in one that you excel in. Upgrading from Guest to Normal User gets you bonuses in the form of Boosts, Free Prizes, Friend Gifts and more. You’ll have the ability to save your progress, carry your account on multiple devices and collect Mystery Potions. To upgrade, all you’ll need is to sign in with your Facebook or Google+ account. In order to get better at Agar.io, you will need to use the special abilities such as the splitting and dodging effectively. For example, the sooner you split when you see a bigger massed opponent, the better as it allows you to escape and regroup. Similarly, you can press the W key to eject mass and get away or to corner a smaller opponent and have a greater chance of consuming it and climbing the Leaderboard ranks. You’ll have the option to get free coins or purchase Starter Packs to get an edge over the competition. Maximize your Agar.io experience by shopping for Coins, Premium Potions, DNA, Mass or XP Boost so you can get to the top without having to spend hours eating smaller cells.